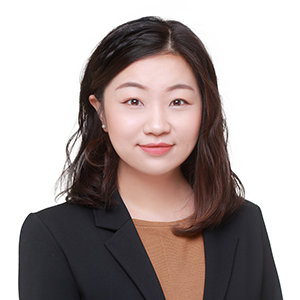 Cao Nanxin, based in Beijing, is an Analyst in ASG’s China practice, where she supports clients through research and analysis. Before joining ASG, Ms. Cao was the Lead Analyst of the Industry, Energy and Environment portfolio at China Policy, a policy analysis firm based in Beijing. In this role, she researched China’s industrial policies, state-owned enterprise reform, energy transition, and environmental governance for clients that included multinational companies, industry associations, and international organizations. She also completed two projects on China's industrial overcapacity. Previously, she was a Public Relations and Marketing Executive for Aedas, an international architecture firm. She also interned at the British Consulate General in Chongqing. Ms. Cao received her LL.B. in International Politics from Sichuan International Studies University and M.Sc. in European Union Politics from London School of Economics and Political Science.